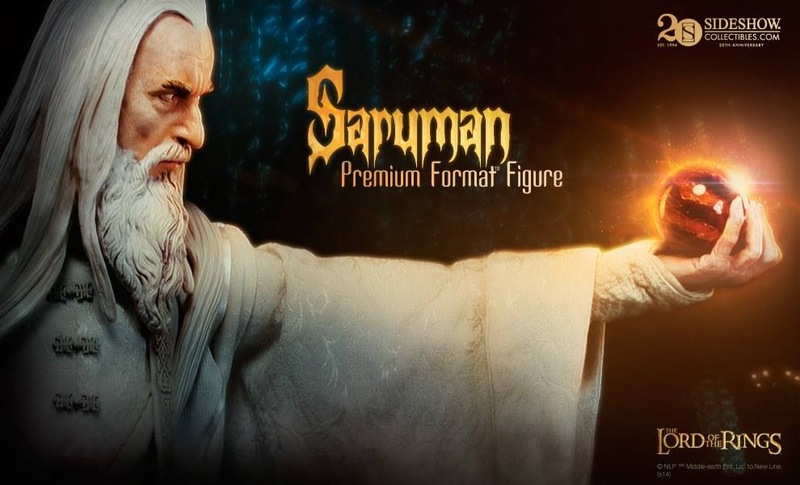 Today’s Sideshow Collectibles Newsletter provided a preview of the newest item to join the Premium Format line of collectibles for The Lord of the Rings Trilogy. Joining the ranks is Sauron’s side-kick in The Two Towers Saruman the White! As we can see from this picture Saruman is holding a Palantir, which I hope will light up creating an awesome display. As soon as we get full details on light-up features, price, release date, exclusive options and so on we will pass them on.